I have been documenting Soviet mosaics in Georgia for past several months. These interesting pieces of work are disappearing due to various reasons – the glass pieces fall apart, buildings are demolished, etc. However I think their importance as a depiction of Soviet history and architecture is huge and they should be documented and preserved if possible. Most of these mosaics are from Tbilisi – the capital of Georgia but some of them are from other parts of the country as well. Buildings with these artworks range from a bottle opener factory to bus stations and local tourist sights. According to various local architects most of the Georgian mosaics are made from glass pieces that were usually brought from Moscow to brighten up public spaces. In past mosaics were associated with religion – temples and spiritual sights had colorful walls that were depicting either humans or phenomenons, however in USSR religion was not the main theme. In 1930’s mosaics became one of the key elements of the Moscow subway system and soon after they became a symbol of Soviet art. Images on these mosaics range from astronauts and workers to famous Georgian writers or even some abstract shapes. Click on images to view them in a larger format. 1. Laguna Vere – the biggest outdoor pool of Tbilisi that supports various types of swimming sports including water polo, now closed. მოხეტიალე წიგნები (Strolling Books) – A Facebook page has been set up in Georgia to give out books for free. The idea went viral and in three days the page got almost 30,000 likes. 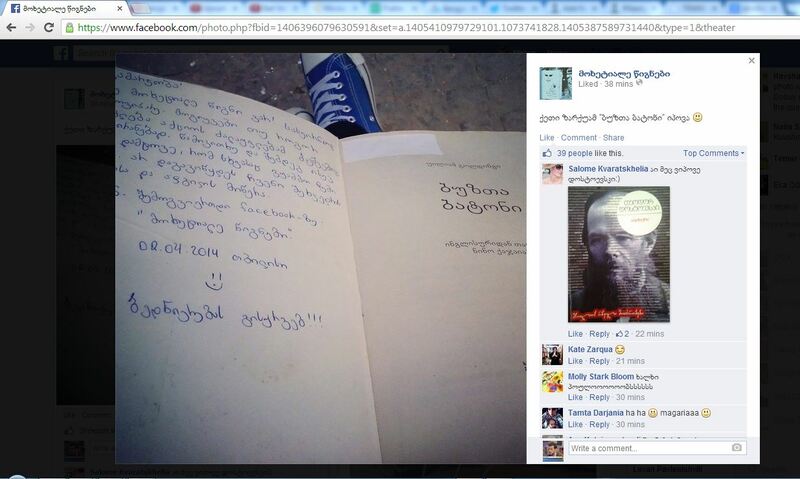 According to the page, any person may leave a book at public place, add a message a date and a place. The next person who’ll find and read the book should also add a date and place when and where found; later leave it at a park, in a cafe or somewhere else. The books are about everything and for everybody. Freedom House, Washington D.C. based democracy and human rights advocate has recently released its Freedom of Press in 2012 Findings. The report highlights key developments in global press freedom over the last year, including improvements in Egypt, Tunisia, Libya and crackdowns in authoritarian states. The annual report includes findings in 197 countries and territories. 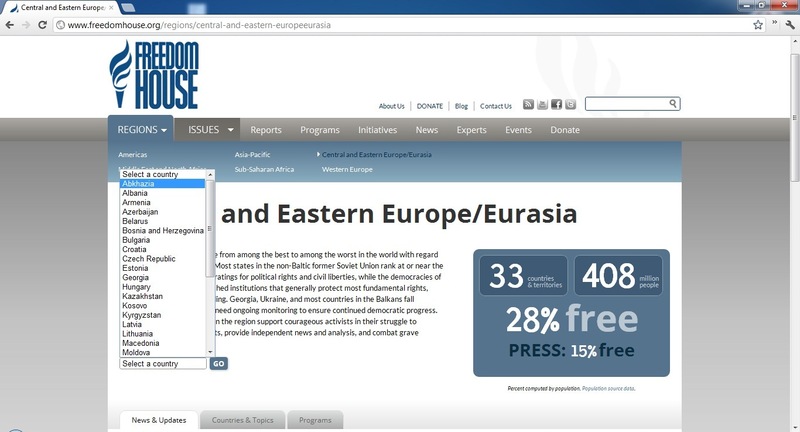 Media in Georgia, according to the report is partly free and out of all the countries it’s on 111st place, which makes it a leader in the region (Turkey is 117th, Armenia 149th, Azerbaijan and Russia 172nd). 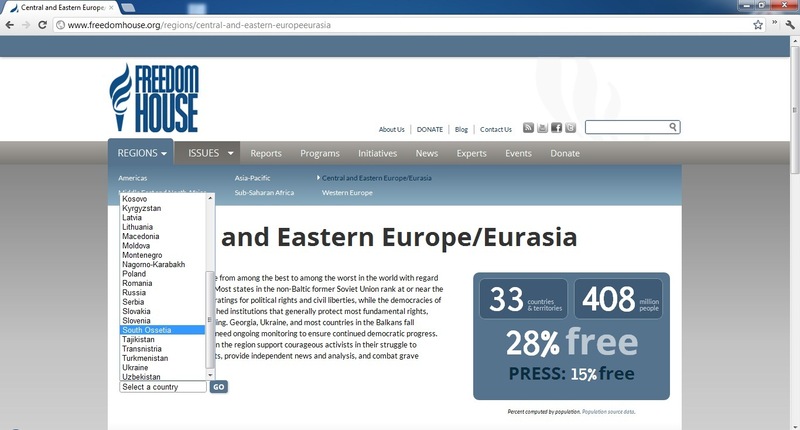 Freedom House website gives separate findings and articles about each state. Interestingly, under the list of countries in Central and Eastern Europe/Eurasia Georgia’s breakaway regions Abkhazia and South Ossetia (Along with Nagorno-Karabakh and Transnistria) are listed as separate countries. Abkhazia and South Ossetia are Georgia’s disputed regions that are recognized independent by Russia, Nicaragua, Venezuela, Nauru, Tuvalu and Vanuatu, the rest of the world considers it as a part of Georgia. With more than 200,000 IDPs, the conflict is still unresolved and Georgia officially refers to these regions as “Occupied Territories”. Beyonce Knowles, 29, has finally released a video to her new sizzling track – Run The World (Girls), which after Single Ladies (Put a Ring on It) and Diva is considered to be a continuation of her messages of female empowerment. In the Run The World (Girls) video, Beyonce is a leader of a female-gang that takes on its male enemies with impressive and energetic dance moves. 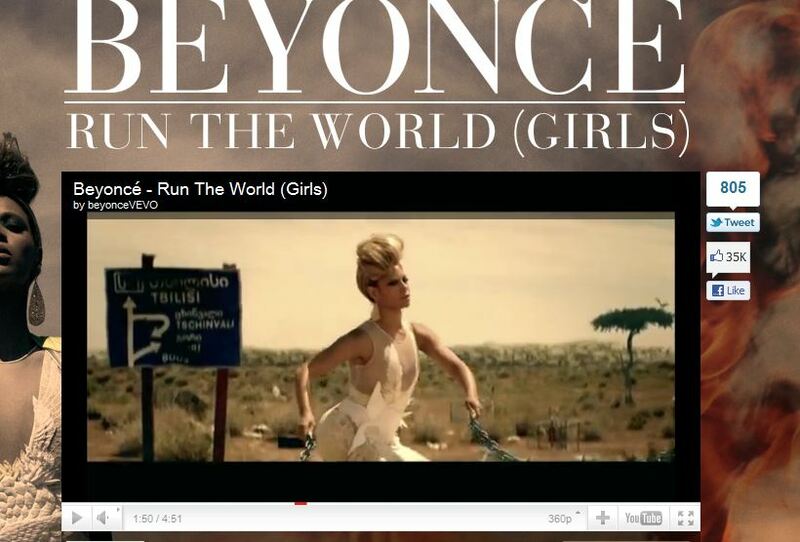 The video features Beyonce on a wild horse, on a car with Revolution written on it, in a factory and etc. Beyonce changes costumes several times and strikes with powerful poses throughout the video. In one of the scenes the singer holds hyenas and stands in a field with a road sign in the back. The sign is from Georgia and gives directions to Tbilisi, Tskhinvali and Gori. On August 7, 2010, 12:00 noon approximately 50 Georgians gathered in front of the UN headquarters in New York to protest two years of Russian occupation of Georgia. The protest was peaceful and lasted for an hour. Protesters held flags of Georgia and posters like “Russia get out of Georgia” or “Russia gives us back our homes”. Among all the protesters were IDPs from Abkhazia who have not been in their homes for almost 20 years. 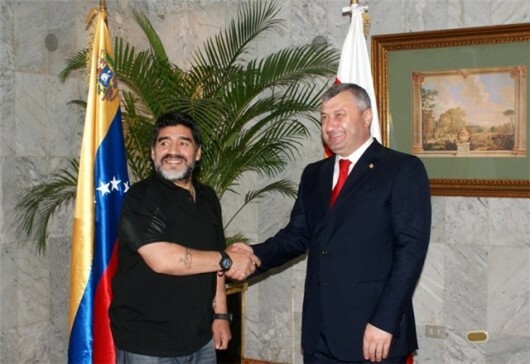 Maradona to visit South Ossetia? President and delegation of the breakaway region of South Ossetia visited Venezuela last week. Venezuela is one of the 4 countries who recognized South Ossetia’s and Abkhazia’s (another Georgia’s breakaway region) independence after the war in August 2008. 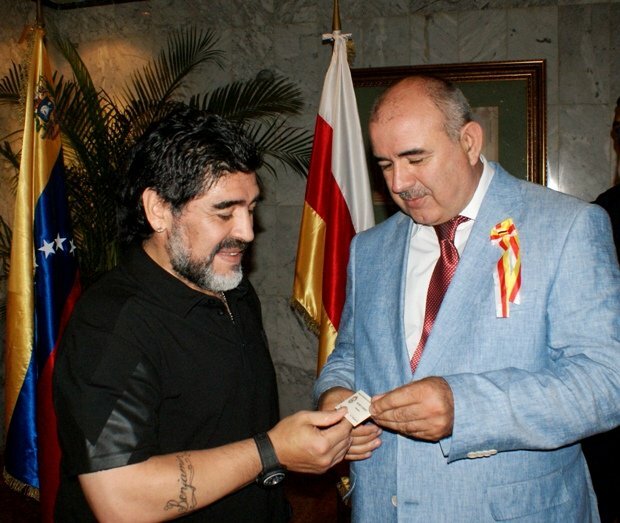 While staying in Caracas, South Ossetia’s President Eduard Kokoity met legendary football player Diego Maradona, who is the current coach of Argentina’s national football team. 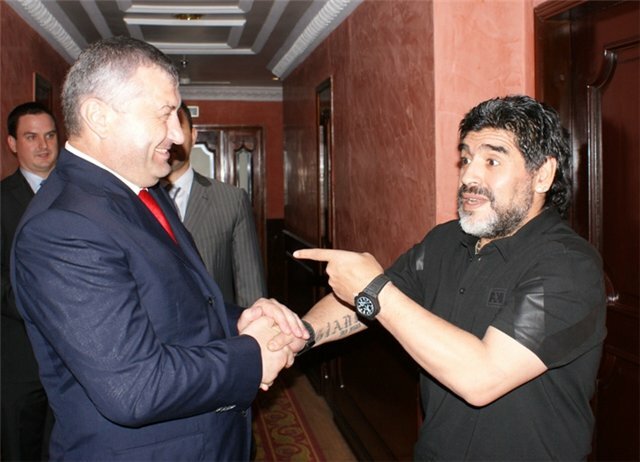 According to OSinform Not only they did shake each other’s hands but Kokoity invited Maradona to visit South Ossetia. The same information agency claims that Maradona happily accepted the invitation, but it is unknown if he will really visit and when. It has to be noted that Maradona has visited Georgia in October 2008, where he participated in a friendly match between former stars of Argentinian and Georgian national football teams. He left the country disappointed because due to a high ticket price half of the stadium was empty.